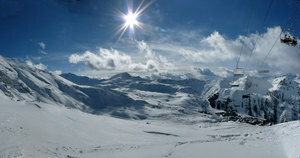 Is it snowing in Les Arcs ?¡Gracias! Created in1968 with the inspiration of integrating new architecture perfectly into the landscape, Les Arcs, a ski in-ski out resort, never ceases to accomplish both sportive and touristic challenges. 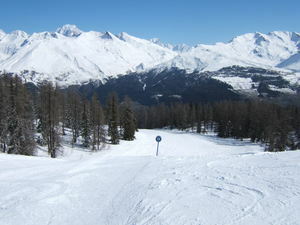 Composed of 4 pedestrian sites in altitude and by one burg, all interconnected, Les Arcs meets to each expectation. 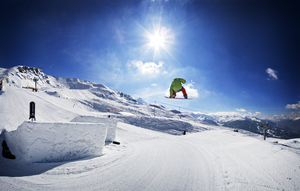 Les Arcs is constantly evolving in innovation and ambition and is thus one of the favourite hangouts for mountain enthusiasts. A French exclusivity with direct links by high-speed train from Paris, London, Brussels and Amsterdam, Bourg Saint Maurice allows you to directly reach the ski resort in 7 min thanks to its funicular train. The origin of the «spirit of Les Arcs» is at Arc 1600 m, admire this architectural laboratory. Arc 1800, is also the ideal spot for party goers at night. Looking for luxury and charm Arc 1950 ensures a picturesque holiday with friends or family. Get up to the summit of Arc 2000 to access and tear down L’Aiguille Rouge (3226m), one of Europe’s longest slopes (7 km) to Villaroger without having to take a single lift. 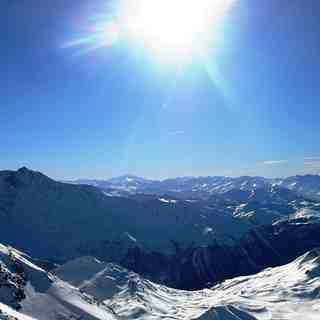 As a few friends of ours were going, we decided to return for the second time to Les Arcs. 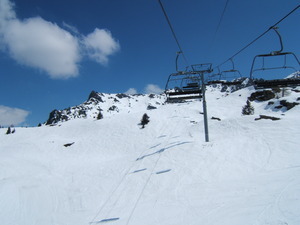 No one can fault the lifts here: modern and fast and the big ski area with good snow was a delight. Then I remembered why we started to give France a miss a few years ago and chose Austria and Italy: the prices. Every time you use a mountain facility you just feel ripped off. The prices are daylight robbery, usually served by a grumpy Frenchman who makes it feel Brexit is your fault. Also, the accommodation across these super expensive French resorts is super small and you end up with your son sleeping on a make shift bed by your feet. For the same cost in Austria you get a hotel with swimming pool. 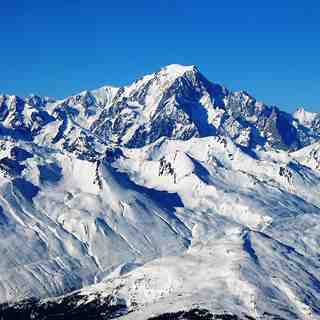 Our chalet owner reckons the skier numbers are dropping by 4% a year in France. Maybe they should look at their pricing? I'm off to Austria for Easter and probs Italy next year where a coffee still costs 2 Euros and a decent dinner on the slopes is under a tenner. Single sausage and small chips each for me and the boy and 2 soft drinks: 42 euros. Having a laugh, me thinks.